My 5 year old son has been dying to have his first ever gluten free waffle cone. This morning he told me he had a dream about eating waffle cones with homemade cherry chip ice cream. Today his dream came true! 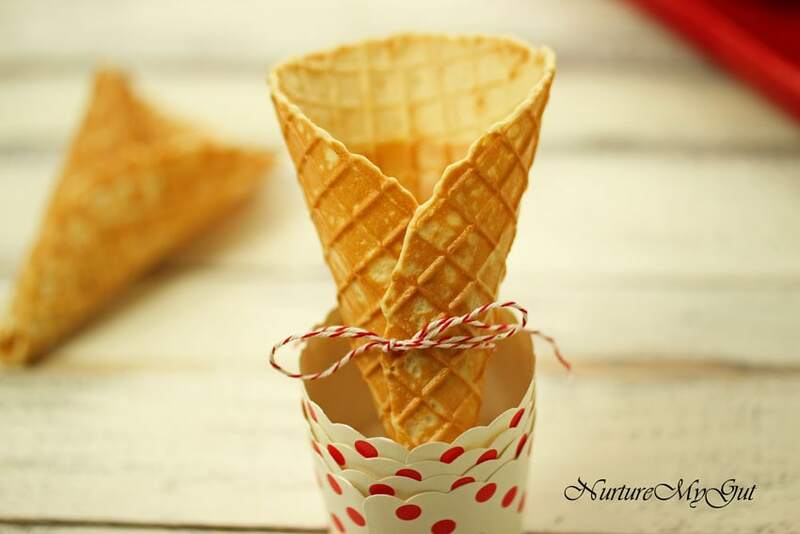 These homemade waffle cones are not only gluten free, but they are grain free, dairy free and sweetened with a hint of maple syrup. Be sure to use finely ground blanched almond flour for the perfect texture! Unfortunately, I have not found gluten free waffle cones at the store, or even online. Gluten free sugar cones are pretty scarce during the summer months. What is a gal to do? Well, I make my own! 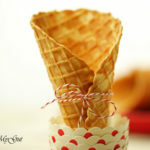 I went hunting on Foodgawker to find a good recipe and came across Roostblog’s Almond Flour Waffle Cones Recipe. I slightly modified this to tailor it to my own palate. I upped the sweetener, added more vanilla and finally…my secret ingredient, see below. The first thing I did was ordered a waffle cone maker; I got it in two days, thanks to Amazon Prime! 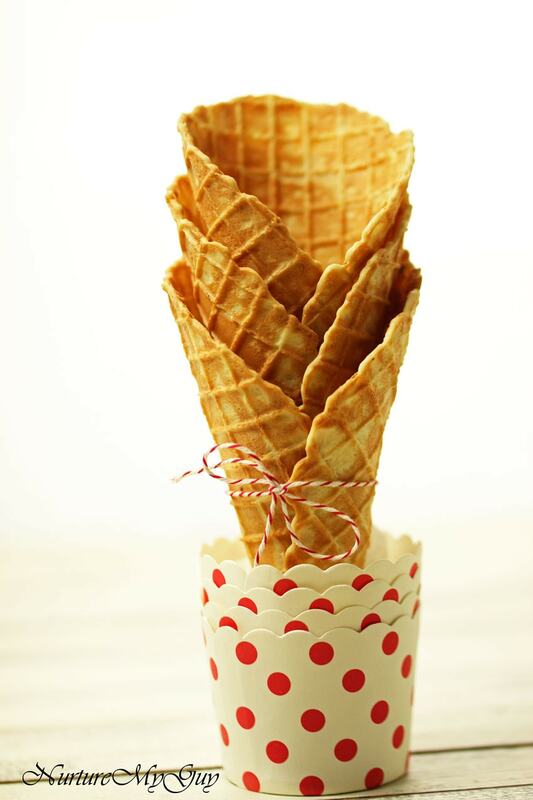 I am very pleased at how easy it is to make these gluten free waffle cones. The first thing I did was heat up my waffle cone maker to setting number 3 and leave the lid closed. Next, in a mixing bowl, I added the almond flour, eggs, coconut sugar, maple syrup, vanilla and almond extract. Whisk well. Then, spray or brush the waffle maker with oil. I like using a coconut oil spray. This must be done between each waffle so that they are crispy and hard. Then pour 2 Tablespoons of batter in the center of the waffle cone maker and close the lid. Let it heat for 2 minutes exactly! When you remove the lid, it will have golden brown hues throughout. Lift waffle gently with a spatula and wrap around the cone. Hold the opening of the waffle down with a spatula for about 30 seconds. Then let it cool on a cooling rack. It should be hard and crispy once cooled. Repeat with remaining batter. I was done with this recipe in less than 20 minutes! 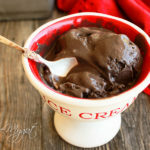 Next time I will double or triple the batch and dip these in melted dairy free chocolate chips! 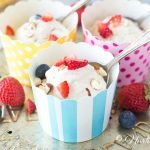 These will go perfect with my homemade No-Churn Vegan Strawberry Ice Cream! Yum! You may be wondering how do these gluten free waffle cones taste? They have a hint of sweetness, a nice light crunch and can hold 2 scoops of ice cream comfortably. 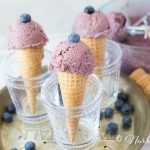 They are the perfect gluten free/grain free waffle cones!! I am in love!!! Ps. My secret ingredient is almond extract! 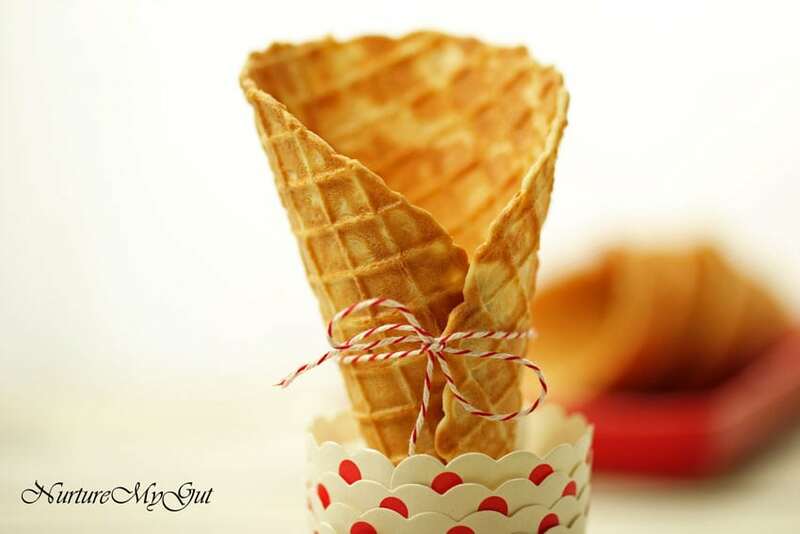 It gives these gluten free waffle cones a super boost of flavor!!! Gluten free, Grain Free, Dairy Free, Naturally Sweetened Waffle Cones. 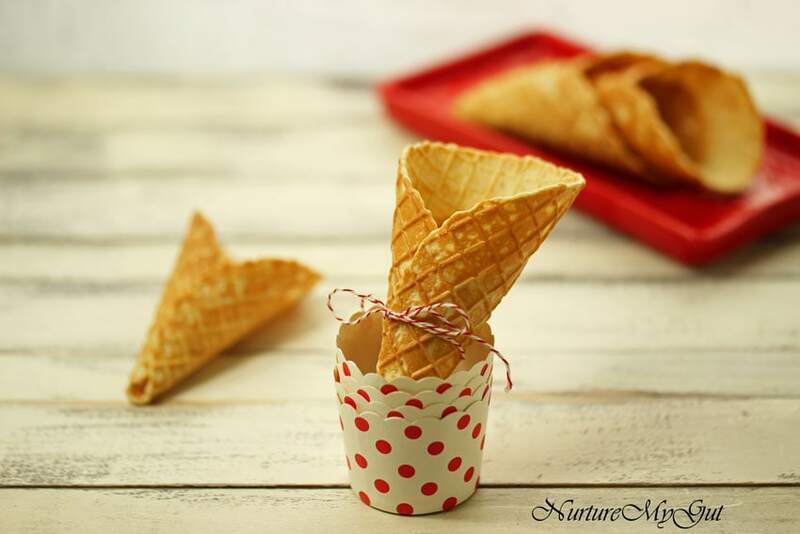 These homemade waffle cones are not only gluten free, but they are grain free, dairy free and sweetened with a hint of maple syrup. Be sure to use finely ground blanched almond flour for the perfect texture! Heat waffle cone maker to number 3. Leave lid closed while it is heating. Add eggs first to blender, follow with remaining ingredients and blend on high until smooth and creamy, about 30-45 seconds. Open waffle cone maker, spray lightly with coconut oil or any other light flavored vegetable oil and pour 2 Tablespoons of batter into the center of the waffle iron and close lid. Bake for 2 minutes. Using a rubber spatula, remove waffle and wrap around plastic cone to shape into a cone. Waffles harden fast so do this step quickly and use a towel to help wrap cone if waffle is too hot to handle. Allow it to set around cone for 1 1/2 minutes, remove cone and set aside on a wire rack to cool completely. Repeat steps 3 and 4 for remaining batter. Store waffles in an airtight container or sealed ziplock bag. I am wanting to make a GF nutty buddy. This sounds like it might work for the crispy inside, but it would need to be very thin so I can layer them. Do you think I could bake these or do you have any suggestions? Hmm…I think you would need a flakier recipe for something like that. I do not think that this recipe would work, the waffle cones are a harder crunchier shell. Could you use a Pizelle press? Someone asked about a waffle maker without non stick chemicals. I saw it on the google comments on here, but on wordpress it disappeared. Anyhow, this is what I wrote, in case she sees it. .
We are happy with this ceramic one. 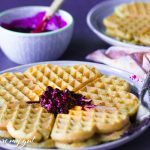 Not sure it will work with this recipe, but we make paleo plantain waffles with it and it works perfect every time. I can’t seem to get mine to crisp up. What am I doing wrong? I used maple syrup and cooked for 3 minutes actually. At 3 minutes they came out crispy but softened after cooling. 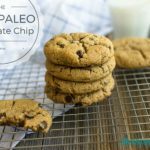 What would be a good alternative to the almond flour? We can’t do nuts. Do you think I can use my pizzell iron instead of purchasing another appliance? Oh wow! This is awesome! I never even THOUGHT about ever making a waffle cone type recipe!! I honestly never really even THOUGHT ABOUT cones in general – I was always a “bowl” kind of girl, but man, I could get on board with this! They were so easy to make! Please share your link when you make them! I have never thought to make my own waffle cones before! Great idea.. I must try the recipe out! Thank you Thalia! They are so easy to make, you must try it!